Summary: Gurugram-based Samast Technologies, which runs hyperlocal discovery platform Magicpin, provides a platform where merchants and consumers can discover and interact and also transact. It has raised funding round led by Lightspeed Venture Partners US. Following this deal, the platform is now valued at $100 million. Summary: Gurugram-based art social network and discovery startup Skillbox helps artists to connect with enthusiasts and businesses. It has raised an undisclosed amount in seed funding from US-based angel investor Sandip Ranjhan. Future Planning: The firm plans to use the funds for marketing and scaling as well as strengthening the product. Summary: Chennai-headquartered Internet of Things (IoT) startup DeTect Technologies builds technologies for the heavy industrial sector for asset monitoring. It has raised Series A funding from SAIF Partners, Bharat Innovation Fund, Axilor Ventures, BlueHill Capital Pvt Ltd, and a few angels from the Keiretsu Forum. Future Planning: The startup plans to use the new funds to expand internationally and supplement the core R&D focus of the company. 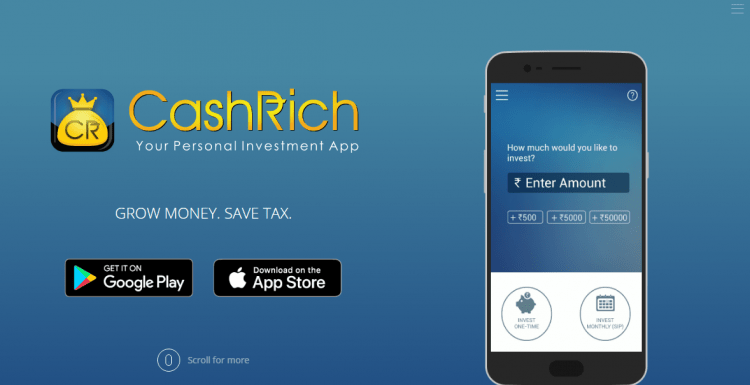 Summary: Mumbai-based wealth management startup CashRich is a smart mobile investment app for anyone seeking better ways to manage their money. It has raised funds in equity funding from three UK-based angel investors. Future Planning: The company plans to deploy the funds to develop its Dynamic Systematic Investment Plan (SIP) technology to automate important steps of investment management such as asset allocation, portfolio diversification, and rebalancing while personalizing the experience for each user. Summary: Mumbai-based digital lending application InCred focuses on four lending segments: Affordable Housing, Small and Medium Enterprises, Education and Consumer Finance. It has raised funding round led by its founder Bhupinder Singh along with some other private equity investors such as Siddharth Parekh’s Paragon Partners. Future Planning: The firm will use the fresh funds to incubate new businesses and also to expand its lending business model, which currently caters to small and medium enterprises (SMEs) and the retail sector. 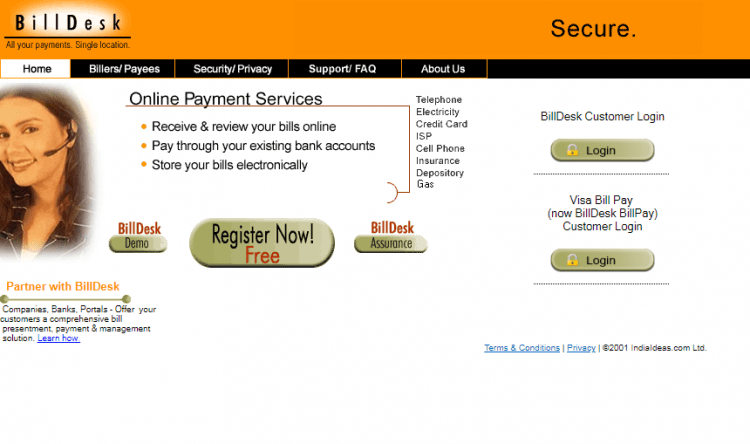 Summary: Mumbai-based payments gateway BillDesk, raised fresh funding from global payments technology company Visa. Future Planning: The company plans to develop new product lines for its payments and loyalty businesses and also expand its footprint into other geographies. Summary: Gurugram-based digital lending company Aye Finance provides financial services to micro and small businesses in Northern India. It has raised funds in debt funding from Delhi-based social impact fund BlueOrchard. Future Planning: The firm plans to use the fresh funding to expand to newer geographies and disburse loans more actively to its existing debtor base. Summary: Bengaluru-based Fintech Company Signzy raised funds in Series A funding round led by Stellaris Venture Partners and Kalaari Capital, along with other investors. Future Planning: The company plans to use the fresh funds to expand its product portfolio, strengthen its technology stack, and expand overseas. Summary: Bengaluru-based mobile health platform HealthifyMe is an app that allows its users to achieve their fitness and weight loss goals from their gadgets. It has raised in an extended Series B funding round which is a mix of both equity and debt. The round witnessed participation from existing investors such as Sistema Asia Fund, US-based early-stage VC Samsung NEXT, Inventus Capital, Blume Ventures, Chiratae Ventures, and Innoven Capital. Future Planning: The firm will deploy the freshly raised funds to expand its presence in the international market. Summary: Noida-based ed-tech startup Genius Corner raised its angel funding from Ranbir Singh, Mahesh Mohta, Dipak Varshney, Puneet Garg, and Lakshmikantan Sundereswaran. Future Planning: The Company plans to deploy the funds for its pan-India expansion. Summary: Bengaluru-based online tutoring startup Vedantu offers personalized LIVE Online Tutoring. It has raised its Series B funding round led by philanthropic investment firm Omidyar Network, with participation from existing investor venture capital firm Accel Partners. Future Planning: The company plans to use the funding to expand its technology and further expand its service in tier 2 and 3 cities.